Kingsmead01263 715779work01603 870304fax Self-cateringA spacious family house located in a fabulous position just a few minutes walk to award winning beaches and Victorian pier. Local shops and Pub are in easy walking distance. • Other: Towels. Travel cot, High chair. Standard cot and stair gate available on request. Books and games provided, Wii. DAB radio. • Outdoors: Garden, garden furniture, barbeque . 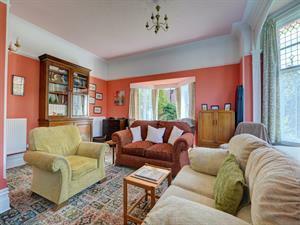 A spacious family house located in a fabulous position just a few minutes walk to award winning beaches and Victorian pier. Local shops and Pub are in easy walking distance.